Our latest kitchen 'Mountain View' is a stunning navy and white design from our Modern Collection. The doors are from our exclusive range of matte glass finishes and is trimmed in a durable stainless steel edge profile. This provides additional protection for the toughened glass and looks stunning against the navy colour. The use of our washed oak sliding door system adds another layer and warmth to the colour palette while providing a useful screen for small appliances such as toasters, sandwich makers, juicers etc. 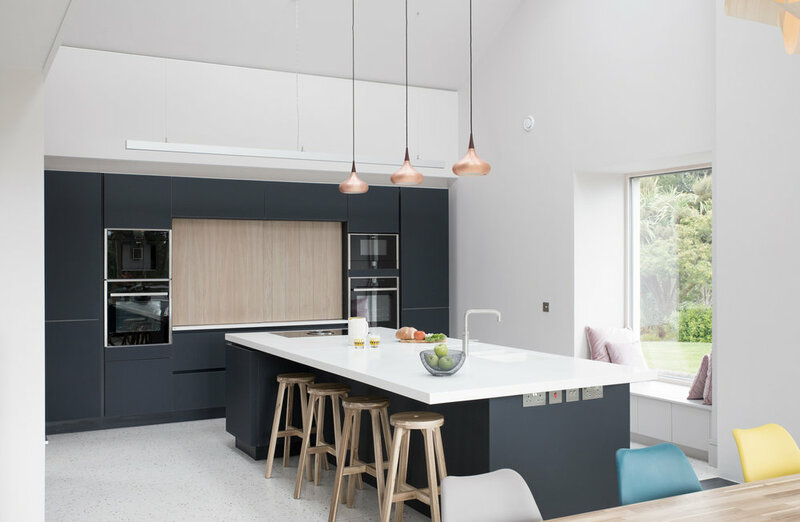 Throughout the design process the client and designer (David) worked closely to ensure that the material being used and the colours didn't make the kitchen feel cold or stark. 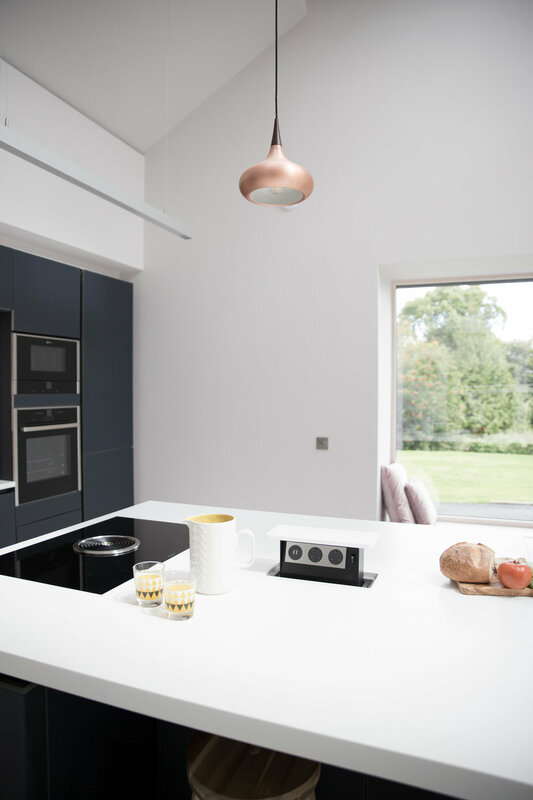 The white Corian worktops and integrated Corian sinks are beautifully handmade by OBRE Fabrications and work perfectly with the overall scheme. The discreet pop-up socket on the island is capped with Corian for a seamless finish. If you would like to arrange a showroom consultation to see our range of luxury modern kitchens and to discuss your own upcoming kitchen project please contact our design team by clicking on the button below.